National and international safety regulations demand provide the installation of emergency eyewash equipment at workplaces for handling with hazardous substances, e.g. respective requirement specifications are specified in standards (DIN EN 15154 parts 1 to 4 for the European market, ANSI Z358.1-2014 for the market in the United States). 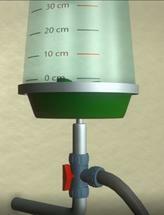 The function of plumbed emergency eyewash devices has to be verified periodically. According to DIN EN 15154-2:2006 suppliers have to specify methods and maintenance intervals. Applicable standards and safety rules define specifications for parameters (volume flow, water distribution in the spout, temperature, e.g. ), however up to now no testing advices or testing procedures are described that can be used in a simple way. A testing device for plumbed emergency eyewash equipment is presented for the verification of the requirements and collection of water while flushing the water supply line. Central component of the testing device is a collection vessel of transparent material with measuring lines for characterization of the dispersion pattern of the water above the spray heads. The water is redirected to a collecting tank. From the collected volume and the testing time (for logical reasons over a minimum of 15 minutes) the volume flow rate is calculated. Two different designs were developed, one for plumbed emergency eyewash devices with basin, and another for devices without a basin. A testing time of 15 minutes can be adhered and the working place is prevented from wetting or flooding causing slip hazard and subsequent cleaning work. 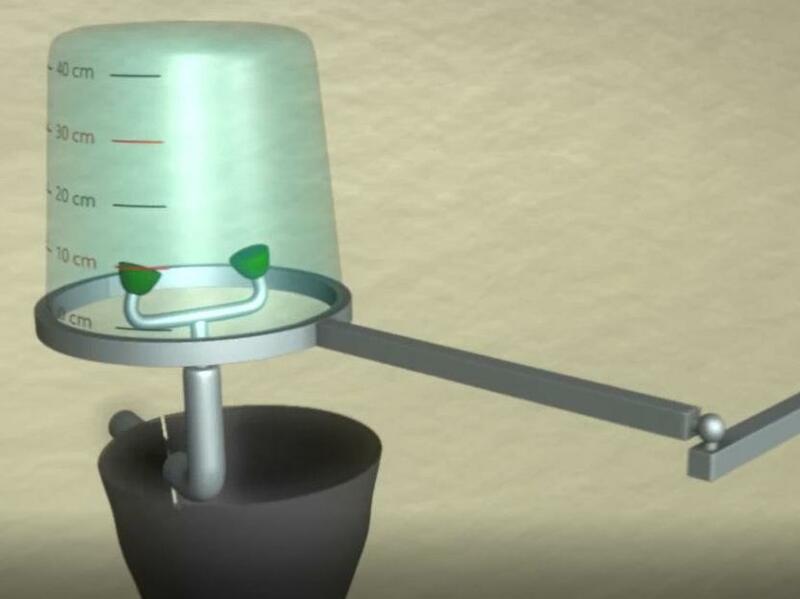 The testing devices enables safety engineers to document the requirements for plumbed emergency eyewash devices in their field of responsibility with low extra effort. A demonstrator has already been realized and a prototype is in preparation. On behalf of its shareholder Technische Hochschule Mittelhessen TransMIT GmbH is looking for cooperation partners or licensees for further development in Germany, Europe, US and Asia.